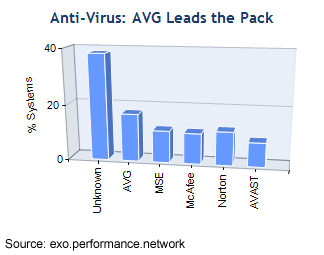 Remember the free antivirus Microsoft unveiled a few months back as a limited beta? Yeah Iâ€™m talking about Security Essentials, the ultra-light, fast, and simple antivirus application which has been making waves around the internet. Its compact, resource friendly, provides rock solid security and best of all, its totally free for all users of Microsoft Windows. Those who participated in the limited beta, have received emails regarding the final release of the solution, which is coming in the next few weeks (along side Windows 7?). If you werenâ€™t part of the limited beta, then you can still get your hands on the beta build which is still floating around the internet. MSE is available in two version, 32-bit and 64-bit depending on your operating system. Iâ€™ve been using it since it came out and Iâ€™m really impressed by its performance. In fact recent statistics from the exo.performance.network also suggests that it is already giving tough competition to its competitors even though it still hasnâ€™t been released to the public. 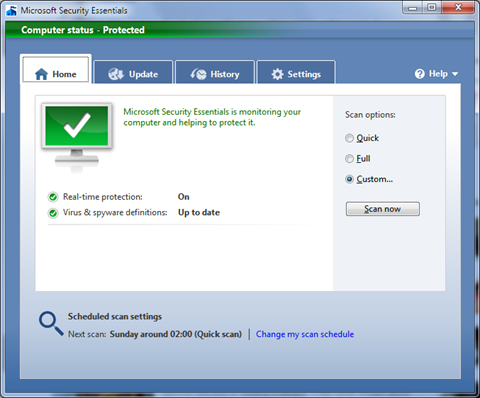 Iâ€™d recommend it over any Free or Paid antivirus solution after using the likes of Norton, AVG, Avast, NOD32 and Kaspersky for years. Ran 14 queries in 0.142 seconds.